Seems like the world’s largest corporate behemoth, Wal-Mart, has been in the news quite a bit recently especially after the unveiling of Robert Greenwald’s documentary, Wal-Mart: The High Cost of Low Price. This movie is showing for free in numerous cities across the U.S. (see Wal-Martmovie.org for a showing near you) and I got to see it at the Front Range Community College in Fort Collins this afternoon. While it lacked the comical punch that typifies, say, Michael Moore’s documentaries, it was nevertheless eye opening and thought provoking. While it does offer its employees health insurance options, the options are often too expensive for the employees to afford, so the company encourages them to look into Medicaid and other federally provided assistance plans. 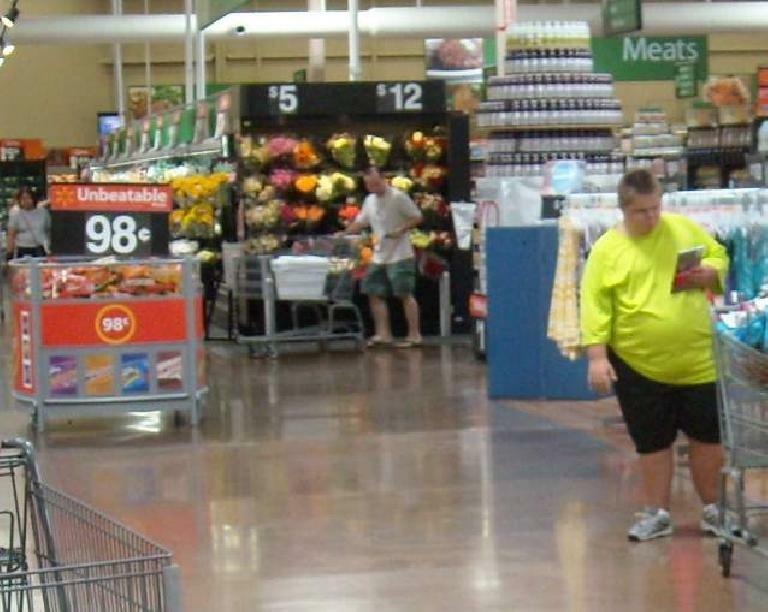 This is one example of how U.S. taxpayers are subsidizing Wal-Mart’s low prices. For every new Wal-Mart that is erected in a town, scores of smaller, independently owned stores who cannot compete on price inevitably lose business and have to close down, resulting in an unimpeded march towards monopoly. Moreover, the character of downtowns is being destroyed all across the country, supplanted by homogeneous, banal supercenters. New Wal-Marts many times cause corporate real estate in cities to depreciate because more companies move out or become reluctant to move in. Ironically, Wal-Mart—whose corporate revenue and profits are huge—receives hundreds of millions of government subsidies each year to move in, whereas small businesses almost never receive any. Not sure if this is fair. Despite Sam Walton’s original vision was to buy and sell as many American-made products as possible, nowadays 70% of its products are made in China. Other corporations—Target, etc.—are having to follow suit in order to compete, perpetuating the off-shoring of jobs from the nation. The movie purports that Wal-Mart too often turns a blind eye towards the sweat-drenching, overworked slave-labor-like conditions in its Chinese factories, where workers often earn less than $3/day. In American stores, there is so much pressure from the top to not give overtime pay that managers are often (fraudulently) changing employees recorded timecard hours from 42 to 40, for example. Wal-Mart is one of the most anti-union company in the world and moves quickly to quench organized activities among its employees by enlisting spies and surveillance equipment. While keeping a close tab on activity (e.g., shoplifting) within its stores with many security guards and cameras, no security is provided in the parking lot of most Wal-Marts where many crimes (robberies, kidnappings, murders) have been committed. Little security has been provided outside of Wal-Marts even after the corporation determined that by having employees rove around the parking lot in golf carts, the crime rate in the parking lots would drop dramatically, sometimes to 0%. Whereas Bill Gates has donated the equivalent of 58% of his remaining net worth to charities (see this PDF for other philanthropists), the Waltons—who are within the Top 20 list of richest people in the world with net worths of over $18 billion each—have donated less than 1%. The movie also cites an example of when Wal-Mart associates donated millions of dollars to a fund to help other employees, the corporation donated only $6,000. A UC Berkeley study concluded that Wal-Marts across the country actually have decreased taxpayer revenues to communities by millions of dollars, contrary to the conventional wisdom that Wal-Marts bring in more revenue by offering the communities more jobs. While the criticism above is hardly exclusive to Wal-Mart, its corporate behavior is particularly egregious considering it has the resources to make a profoundly positive impact on society (it could begin by, say, ensuring that all of its employees have health insurance). It has the opportunity to be the model corporate citizen standard bearer but instead, it seems, it is diminishing quality-of-life standards by dragging down wages, not providing adequate medical benefits, draining taxpayers’ wallets, and promoting sweatshops around the world. In light of the above, one should think about whether or not he wants to patronize the corporation. 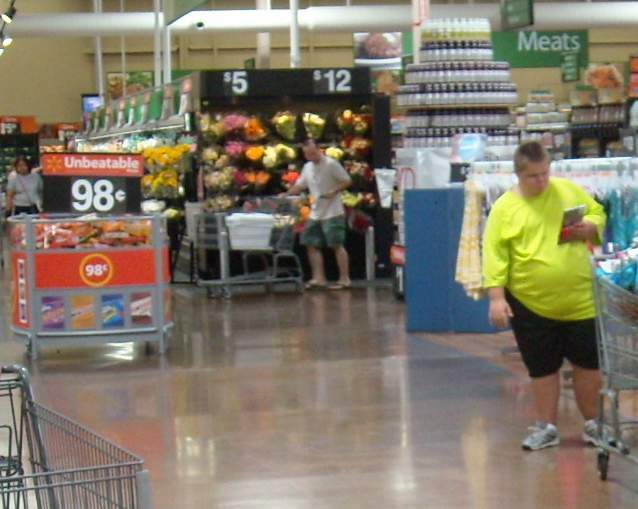 Surely, Wal-Mart benefits the consumer in some ways, which is why so many people shop there. In addition to providing low prices, they offer the convenience of having a wide range of products, everything from food to clothing to electronics and hardware, all in one store. Many are open 24 hours. Hmmmm, what else? I’m not sure, but the question is, are all of these things worth having many of the smaller mom-and-pop stores driven out of town, in addition to the increased urban blight and traffic (points the movie do not even begin to address) that Wal-Marts—and/or the people who shop there—often cause? So last night at 10:00 p.m. my dad and I went to the new Super Wal-Mart, or whatever it is called. Man, even this late at night, it was packed. Now I know what everyone does in Stockton, California, at night—they go to Wal-Mart! I was actually a little apprehensive to go in, being faced with this gigantic super center selling everything from diapers to Cocoa Puffs and boom boxes thrown in for good measure. There was even a McDonalds, a “Go-ji Nails Center”, and optometrist in the store, so presumably one can get her nails done and glasses fitted at the same time all while slurping on a super-sized milkshake. Upon walking in the store we passed by several stacks of “price reduced” items, and I couldn’t help but bust out laughing when we passed a tower of 8.5 X 11″ spiral notebooks going for 10 cents each. Just 10 cents, now that is simply ridiculous! Although I probably shouldn’t have started laughing, because then my dad proceeded to buy up a whole stack of them. Then we went looking for a cassette adapter for my dad (long retarded story I won’t get into), and my dad, being Mr. Efficient, proceeded to ask every one of the 30,000 Wal-Mart employees standing around, keeping the floor warm or keeping an eye out for terrorists, I dunno. Eventually, we went over to the electronics department, and asked a rather large lady where we could find this item. Finally, I scanned the aisle behind the first woman (who deferred the question), and it was *right behind her*. If she had just turned around, she would have seen it, but I guess she decided there were no terrorists in that direction, so she remained glued to her square tile on the floor. Now I know why Wal-Mart employees are paid minimum wage. But then again, even with minimum wage, one would be able to buy 67 spiral notebooks! Of course, to be fair (and as CEO Lee Scott would merrily point out), Wal-Mart associates are actually paid MORE than minimum wage. Some of them, in fact, are paid almost $10/hour and, depending upon which source you believe, Wal-Mart’s average full-time employee income is somewhere between $14,000–$17,500/year. Whooppee!